"The Lazy Song" is a song recorded by American singer-songwriter Bruno Mars for his debut studio album Doo-Wops & Hooligans (2010). It was serviced to contemporary hit radios in the United States on February 15, 2011 as the album's third single by Atlantic and Elektra. "The Lazy Song" reached number four on the US Billboard Hot 100, while it topped the charts in Denmark and in the United Kingdom. It charted on most international markets within the top five. 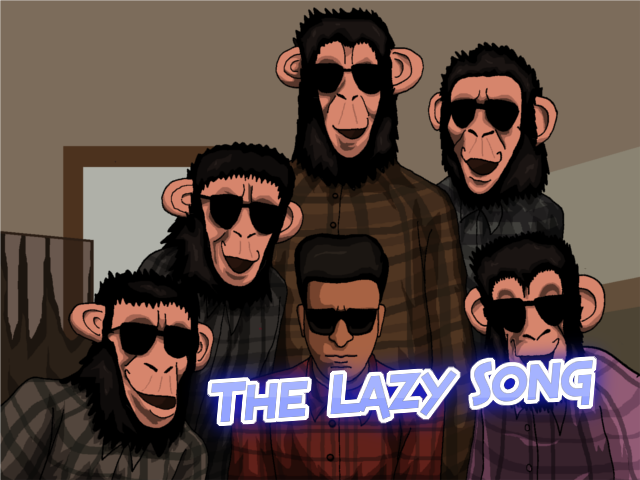 The Lazy Song - Bruno Mars ringtone can be easily downloaded for free from our site! Install it on a call and let you enjoy it with every new incoming call. She's gonna scream out, "This is great!"